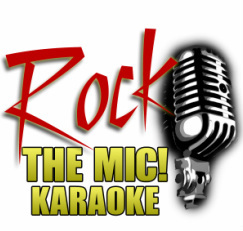 Rock The Mic Karaoke - At Your Wedding! Karaoke it something that is on the rise, especially at Weddings!!! We have done it a lot in the recent years and it is a big hit! Your guests will join in and the party takes on a while new life! If this is something you are interested in, just let us know. For an extra $150, we can throw Karaoke into any event we do, and if you get our Gold Package, it is included for free!